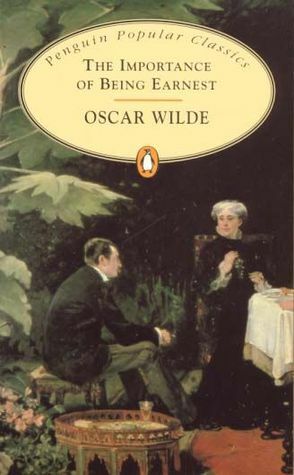 I just finished Oscar Wilde’s The Importance of Being Earnest (which I bought from The Book Depository for an extremely low price – seriously, check it out) and I don’t feel like writing a review. I do feel like talking about it for a bit though, so I decided to call this post Back in Time. It’s highly original, I know. The first good thing about TIOBE is that it’s short. It’s a play! It’s extremely easy to read, since it’s all just dialogue. I’ve never been able to get through a classic this fast. It doesn’t use many hard words or therms you might not know. TIOBE is extremely accessible for people that would like to give classics a try, but don’t know where to start. I can easily imagine this sort of story being the predecessor of soap series. It has everything: drama, suspense, mistaken identities, romance, cross family members. And all of that infused with a good healthy dose of sarcastic social commentary. Absolutely wonderful. TIOBE kept me entertained for a nice hour or two, and I definitely giggled at some of Wilde’s word plays and insane situations. I highly recommend The Importance of Being Earnest, and hope to read The Picture of Dorian Grey by Wilde soon. 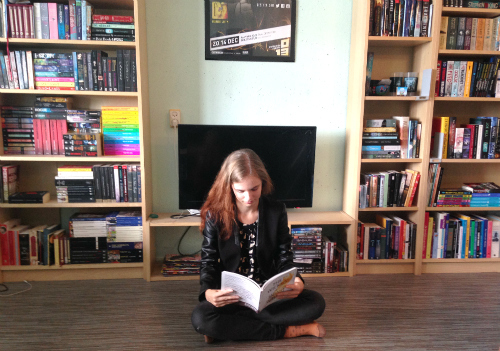 If you decide to read it (or if you have read it), let me know! I’d love to talk about this one. It is 1890’s England and two young gentlemen are being somewhat limited with the truth. To inject some excitement into their lives, Mr Worthing invents a brother, Earnest, as an excuse to leave his dull country life behind him to pursue the object of his desire, the ravishing Gwendolyn. While across town Algernon Montecrieff decides to take the name Earnest, when visiting Worthing’s young ward Cecily. The real fun and confusion begins when the two end up together and their deceptions are in danger of being revealed.